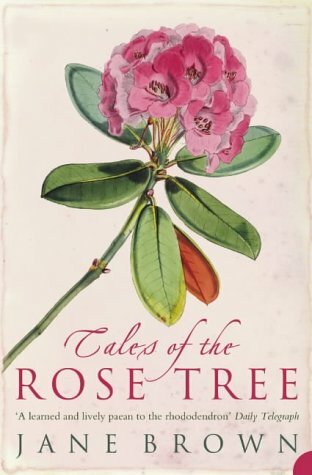 Tales of the rose tree - Jane Brown - Bad Books Don't Exist! The Rose Tree - or rhododendron - has made a greater impact on the English landscape than any other plant. Brought to Britain from the Himalayas two hundred years ago by fortune-hunting plant collectors, the rhododendron now symbolises all things suburban. But as Jane Brown shows in this beautifully written and gloriously illustrated celebration, the rhododendron just about conquered the world. From the pleasure gardens of the Aztecs to the medicine cabinets of the Chinese, from the sun-baked hillsides of Kashmir to the Alpine peaks of New Zealand, the rhododendron settled, adapted and thrived. Following its progress through time and across the globe, The Rose Tree is an enchanting and surprising history of this most familiar of plants.